This week we once again face one of Jesus’ sayings that we must be careful not to apply to everyone. Jesus specifically pointed the saying at those who had lifted themselves up to be above their peers. In Matthew’s story of Jesus, this saying is in the context of Matthew’s critique of the scribes and the Pharisees. A little background will help us understand. In The New Testament World: Insights from Cultural Anthropology, Bruce Malina tells us how the purity cultures of the ancient world like the Hebrew tradition gave their members a sense of order from the chaos of the material world around us. Notions of ritual cleanness or uncleanness were connected to a sense of belonging: in certain communities, well-defined boundaries marked insiders from outsiders. Within such cultures there was also a spectrum of cleanness. The greater your ability to remain clean, the purer you were. The opposite was also true. These notions of purity were not simply religious; they were but also social, economic, and political. Think of a circle for a moment. If the circle represented the community, the purer you were, the closer you were to the center of the circle. The more unclean you were, the more you were pushed to the edges or margins. And guess who made the decisions for the group as a whole? You guessed it: those at the center. Those closer to the center had greater political, economic, and societal control. They maintained the status quo, a status quo that benefitted and privileged those at the center over those on the edges. William Herzog once commented on the political struggle for the center in 1st Century Jewish society. His thoughts shed insight on why Matthew would have included this week’s saying. The Pharisees were the religious teachers of the masses, while the Sadducees were the elites who desired above all else to maintain their control on society. The Pharisees appeared to want to make purity more accessible to the masses, so in that context, they were considered the “liberals” while the Sadducees were the “conservatives.” Yet they were not really concerned with empowering the masses, but with placing power in their own hands, a power that the masses would legitimize. They did not dismantle the system; they only sought to co-opt it and hold the socio-political power and a populous base over the Sadducee elites in Jerusalem. On the contrary, Jesus wanted to, proverbially, “burn the whole system down.” He repeatedly transgressed purity boundaries, bringing in those who had been pushed down and to the margins of his culture. He didn’t do this because he was anti-Jewish or anti-Torah. I believe he did this because he saw the purity model of societal order as deeply damaging to those of his Jewish siblings who were forced by those at the center to live on society’s fringes and edges. In our saying this week, we see a Jesus who challenged and subverted the model of organizing society as a purity circle with insiders and outsiders. Jesus challenged this way of organizing society not just with his words, but also with his table, body, and temple/synagogue practices in the gospels. Matthew describes a horizontal model, a circle, Luke uses a vertical image: a pyramid. The circle has a center and margins, but a pyramid has a few at the top who wield control or power over the masses below them. The lower one goes in a social pyramid, the greater the number of people and the less those people have any say about the world in which they live. 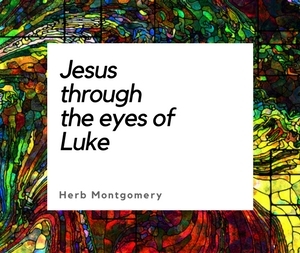 In Luke’s telling of the story, “The Pharisees, who loved money, heard all this and were sneering at Jesus” and his economic vision (Luke 16:14). By contrast, the hated tax-collector responded, “Look, Lord! Here and now I give half of my possessions to the poor, and if I have cheated anybody out of anything, I will pay back four times the amount” (Luke 19:8). The tax-collectors were the last ones expected to respond to Jesus’ economic teachings of mutual aid and wealth redistribution. Yet they came to Jesus’s shared table, while others did not, and Jesus welcomed them (see Luke 15:1-2). In Luke, the Pharisees continued to compete with the temple elite for the exalted position of political control over the masses while the tax-collectors humbled themselves and embraced a world where there is enough for everyone. I’m sure there were exceptions; stories are often told with generalizations. What remains is the truth that when we seek to exalt ourselves over others, it leads to disastrous results for everyone. There is a difference between someone at the center or top of a group having their self-exaltation challenged, and those on the periphery and bottom working to lift themselves up to a equitable shared position. Let me explain. I just finished reading Carol Anderson’s book White Rage. Over and over it recounted the history of how whiteness and structural racism have functioned in American society to impede social progress upward or toward the center for people of color. Sayings like ours this week have been aimed at people of color to try and silence or shame their efforts at equality. I cannot emphasize strongly enough that there is a difference between those who would exalt themselves over others and those who simply are seeking to lift themselves up to level ground. One group seeks to maintain an unjust status quo, and the other simply works toward equality. Our saying this week is not about those lifting themselves up toward equality. It’s about those who continually impede their work, who have exalted themselves over others, who are called to humility, equity and solidarity with those lower or on the periphery. But social location matters. There is a vast difference between the kind of pride that exalts self over others as if you were the normal or ideal and others were somehow less than (think heterosexism) and the kind of pride that rejects the social shame others have tried to impose on you for being different. Pride that simply lifts oneself to a place of equality with others is not a sin! And our saying this week isn’t critiquing that kind of pride. If a person is already being shamed and humiliated, they don’t need to humble themselves further. They are already experiencing humiliation from those who endeavor to marginalize them and their voices. Those who really need to humble themselves in that situation are those who think that just because someone is different they are broken or less than. There was a time when those who were left-handed were considered less than, too. We don’t know why some are born one way and others are born another, but these differences do exist. 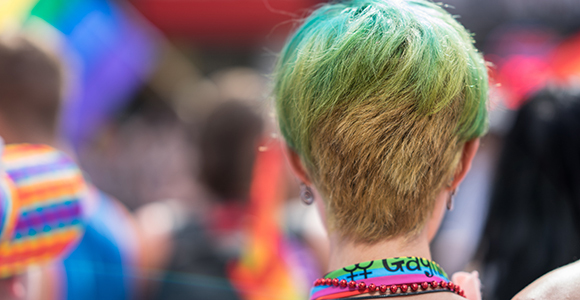 Jesus subverted systems that push people to the margins or undersides of society, and that should challenge any Christian who believes cisgender heterosexuals are the ideal and all other people should stay on the margins of society. It is for them that this saying was given. They are the ones our saying this week is speaking to. I’ve been reading Ched Myers’ book Binding the Strongman: A Political Reading of Mark’s Story of Jesus. I’m enjoying it immensely. It has been quite affirming and confirming for me personally, and I recommend the book highly if you have not read it. In the introduction, which I quoted from earlier, Ched shows how social pyramids and circles functioned in Jesus’ day and how they call those of us who want to follow Jesus to challenge similar models today. Jesus sought to change the way communities were organized. Where there were pyramids with people on top and closed circles with people outside, Jesus sought to form a shared table. So this week I want you to do something a little different. Each of you, take time to listen to a presentation I gave in the fall of 2015 in southern California entitled, A Shared Table. Discuss your responses together as a group. Brainstorm how your group can become more of a shared table experience rather than in a pyramid or closed circle. Write these strategies out. Pick something from what you’ve written and put it into practice this week. Something that may be helpful to you in your brainstorming is our newly updated HeartGroups page. Remember, we are in this together. We are each other’s fate. Also remember to check out our new 500:25:1 project at http://bit.ly/RHM500251. There you can find out more about why we’re launching weekend events around the country, how you can help to make these events happen, and, best of all, how you can have us come and teach in your area. Thanks for checking in with us this week! Wherever this finds you, keep living in love, survival, resistance, liberation, restoration, transformation and thriving! Till the only world that remains is a world where only love reigns.